Ramaphosa says part of the reason the NWC had decided to meet in the province was to deal with regional problems. The African National Congress (ANC) national working committee (NWC) will meet in the Eastern Cape on Monday in an attempt to resolve problems in some provincial regions, President Cyril Ramaphosa said. Ramaphosa led ANC national officials in the Eastern Cape this weekend for two days of “Thuma Mina” campaigning. The aim of the campaign is to interact with people and encourage them to register to vote and update their details for next year’s national and provincial elections. However, the visit was overshadowed by problems affecting some ANC regions in the province. The Nelson Mandela Bay Thuma Mina rally was cancelled on Sunday, reportedly due to a stand-off with the disbanded regional leadership structure. The ANC disbanded the Nelson Mandela Bay regional executive committee, saying it was dysfunctional, but the region vowed not to work with the task team the party wants to put in place. The regional leadership in the OR Tambo and Joe Gqabi regions were also disbanded after they failed to convene regional elective congresses. 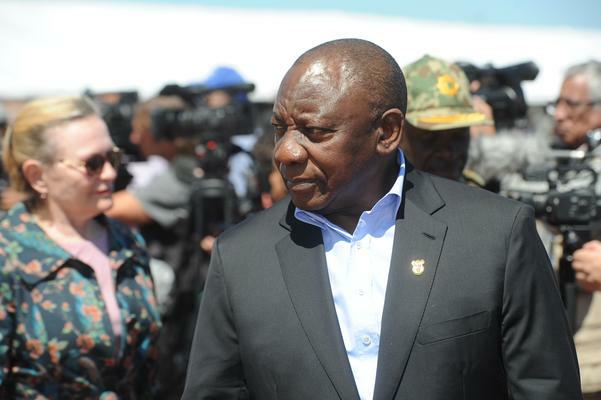 Addressing media in East London on Sunday, Ramaphosa said part of the reason the NWC had decided to meet in the province on Monday was to deal with regional problems. “That is why the NWC is here. We decided as the officials of the ANC that we are going to move around the country to deal with the issues, problems, and the challenges, as well as opportunities that the organisation has. “We are here now meeting our people in all the regions of the Eastern Cape, getting to hear what are the issues. We want to stabilise the critical structures of our movement as we move towards an election,” he said. In East London, Ramaphosa also addressed hundreds of ANC supporters at Unit 15 Stadium in Mdantsane. Those people who had been stealing from government would be prosecuted, he said. “The time for stealing is over. Those whose intention is to steal from our people have no chance. Now is the time to work towards fulfilling the needs of our people,” he said.